There can be some functionality which cannot be tested in an automated tool so we may have to do it manually. therefore manual testing can never be replaced. 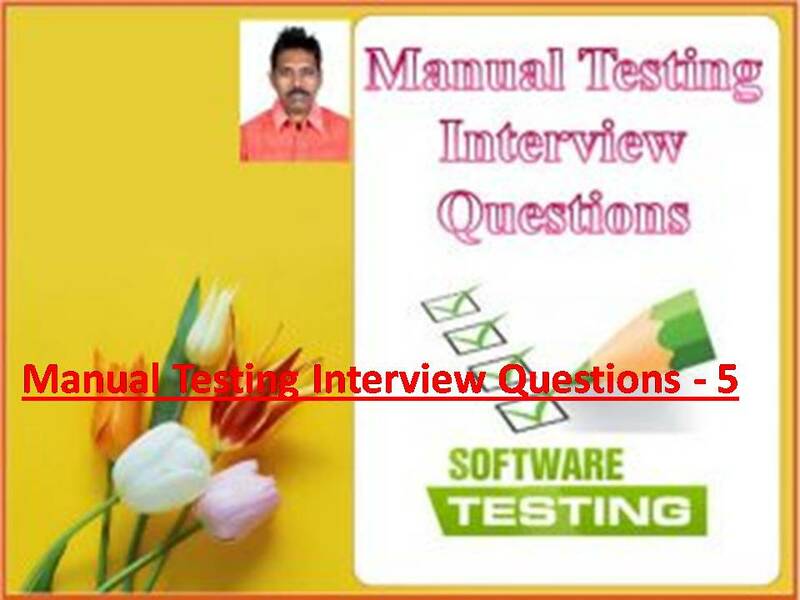 (We can write the scripts for negative testing also but it is hectic task)when we talk about real environment we do negative testing manually. We need to concentrate on the features of the tools and how this could be beneficial for our project. The additional new features and the enhancements of the features will also help. Automate all the high priority test cases which needs to be executed as a part of regression testing for each build cycle. Memory leaks means incomplete deallocation – are bugs that happen very often. Buffer overflow means data sent as input to the server that overflows the boundaries of the input area, thus causing the server to misbehave. Buffer overflows can be used. Stress testing means increasing the load ,and checking the performance at each level. Load testing means at a time giving more load by the expectation and checking the performance at that level. Volume testing means first we have to apply initial.